So are you one of those who thought that health exchanges would cause self-pay to go away? You need to think again!! Self-pay isn’t going anywhere anytime soon. and it’s growing. 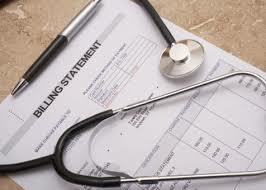 It has been projected that out of pocket expenses nationally will rise more than $400 billion by 2016. The advent of mandated medical coverage, which is coming in 2014 will markedly increase the number of “basic” health plans with the demise of “Cadillac” plans. Higher deductibles and lower co-pay in these basic plans will leave the patient covering up to 40% of the bill. All of this happening with a patient population that has an increasingly difficult time covering their portion of the amounts. Couple that with the fact that percentage of Americans who are enrolled in the increasingly popular high deductible plans hit a record 28% in 2012, It’s getting scary! 55% of patient responsibilities are never covered. 81% of “true” self-pay responsibilities are never covered. Between 2007 and 2012, patient responsibility grew from 12% of total revenue to 30% and isn’t slowing down. An “insured” patient doesn’t guarantee full payment. ICD-10 will also potentially increase patient responsibility. These are just a few facts that indicate our future. A strategy or partner will be necessary to respond well to these challenges that are before us. The view of patient out of pocket will have to change. No more can a practice just assume that they can absorb patient balances that aren’t collected. Balances will need to be collected and early in the cycle, as accounts receivable depreciate in collectability very quickly, more quickly than ever. Any A/R over 90 days, depreciates at .5% per day, and practices can’t absorb the losses any more. Most practices cannot do this on their own. What is not collected at time of service is both challenging and expensive to work adequately in-house. The expense associated with pursuing these well is more than the practice can handle, so the choice is clear. You can either “do the best you can with what you’ve got” or you can find a partner who can help you do it well, and for less cost. Make sure that anyone that you partner with is 100% committed to compliance, because federal, state and local regulations are making it more and more challenging to accomplish the task. Ensure they protect you, as well, from liability for what they do. Again, I realize that many who read this will deny that this is the future, and rely on the belief that more patients insured will mean less challenge for the practice in pursuing patient balances. If you are among those, I have a bridge I’d like to sell you. If you realize the challenge, and would like to investigate what I believe to be the best available solution to this increasing problem, respond to this article and ask and I will be happy to share it with you.